Microsoft has announced their new Wireless Mobile Mouse 4000 Studio Series line, featuring Microsoft BlueTrack Technology, which combines the power of optical with the precision of laser and comes in six different designs, that were inspired to fit the places, where people will use them –on a park bench, around the house, at a coffee shop. 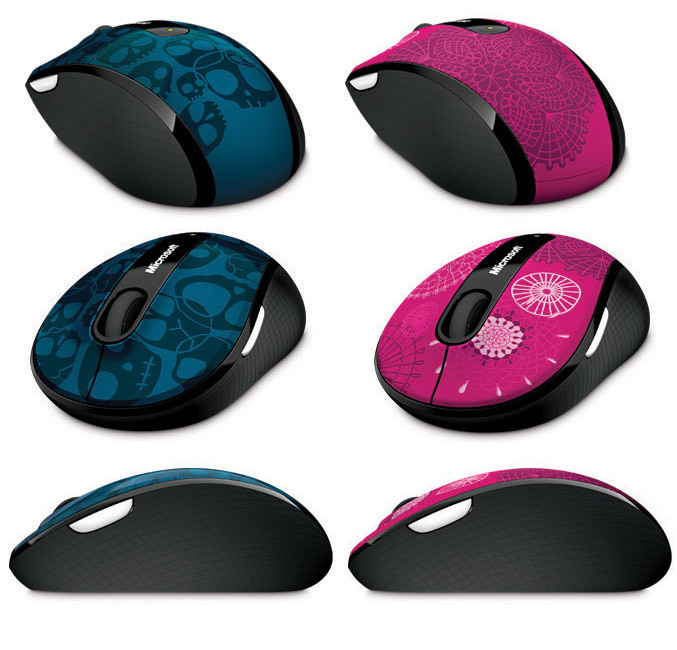 The mice utilizes 2.4 GHz wireless technology with up to a 30-foot range, comes with Nano transceiver and promise up to 10 months of use on a single battery. Battery status indicator tells you when battery power is low. Check their video, which to shows what inspired these patterns and how the new graphics were designed. They will be available in September for $39.95. and Patterns Micro, Botanic and Cosmic will be available exclusive to Best Buy.